Oooooh I finally get my cance to ask Toyam-san about alot of things that I was thinking about. I have ALOT of suggestions and questions to Keiichiro Toyama I really hope that he reads this since I`m the biggest fan of him. 1- Why don`t you put alonger stages? both Siren and Siren 2 got short stages, I know they`re good and well designed but why not to make them longer ? Some missions I finished them within 2 minutes ! 2- Why don`t you put longer cutscenes ? 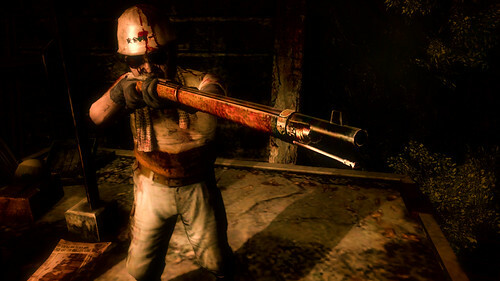 All cutsecenes in Siren games were too short for such a great game, I know that you made them short in order to make the story more complicated but this is can be considered as a bad point “which is one of the main reason behind alot of people hating Siren”. 3- I really wish that there`s a chance that players can play Siren Blood Curse online, I mean like Residen evil Outbreak. You can take their ideas and develope them. 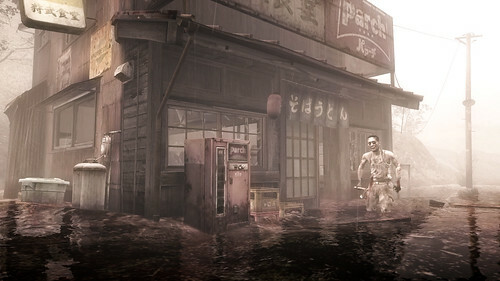 Like for example if you put several characters i one stages and the mission is to beat them all ” exactly like Koyoa Suda in Siren 2″ so when you do this you`ll make a survival horror and in the same time it can be considered as an action game. You know alot of people like action ” Im not of of them”. 4- Most of the stages in both Siren and Siren 2 were only to escape from a place to another, why don`t you try somethng else? like for example like saving a specific character from someone or from a shibito, also like protecting specific character and such, there`re many ideas that I have but I can`t write them all. 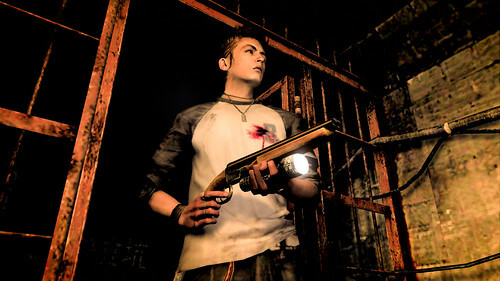 5- I noticed that all characters in Siren games are kind of unkown characters, I mean w don`t have much information about them which i a sad point. I hope you can show us for example the past of the characters or at least the main characters just like Silent Hill ” the very same game that you have created and directed”. 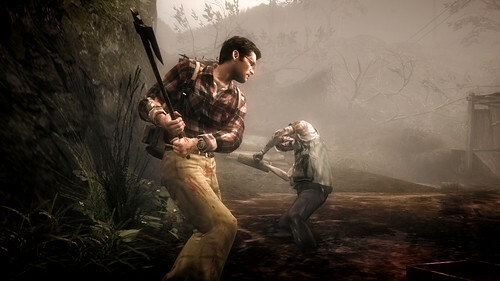 6- This`s the most important point, the sounds in Siren are not as great as other survival horrr games. The sounds that are in game play are sooo great but the sounds in cutscenes? they really needs to be re-worked over and over. 7- We wana see more and more situations between the characters, all we saw in Siren that they met somewhere and then they travel around the village and finally they get seperated ! we wana see more situations between them like emotional situations or past situations ” just like Sam Monroe and his divrced wife but we wana see their sory”. I have so many more questions and suggestions that I want you to read them. But I`ll carryon writing them when I receive your reply to me. I hope you like my sugggestions as I relly hope to see that Siren is the best survival horror game ever made not the scariest game of all time that`s not enough for Siren. Thank you and sorry the message went so long. I’m also curious about the pricing plan, length of each episode, and whether or not there will be a full bluray release after all the episodes are out like Japan will be getting. 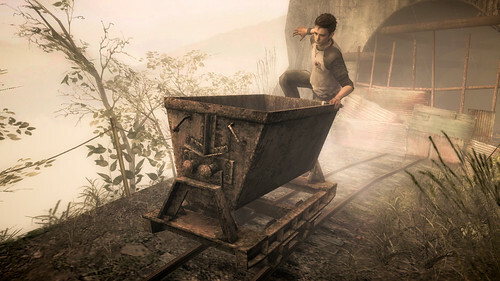 Also on the topic of episodic games what ever happened to Rat Race it sounded like an interesting concept but hasn’t been heard or seen since a couple of trailers were shown? I must kindly ask that everyone please ignore my comment #49 and forgive me for its posting. Normally, our comments on this blog have appeared nearly immediately after posting. However, when my repost of comment #48 did not appear following several attempts over June 14th-15th, I became rather perturbed. Some friends suggested that I was being blocked from posting on this topic, possibly due to the contents of my original comment. I couldn’t understand how this could occur — whiIe I may not have agreed with the method of distribution, the Sony folk here on the blog have ALWAYS welcomed valid questions and suggestions, and I certainly posted no content of a rude or offensive nature. But as more hours passed — and comments from other folks continued to appear — I soon began to believe my friends’ “blocking” conclusion as well. I eventually wrote comment #49 hoping that a shorter message might pass through unscathed, and that somehow my original comment/questions might receive a response. It was also my hope to get the attention of a moderator, so that I could discover why I was being “blocked” and resolve the issue. As of this afternoon, the issue has resolved itself. There was nothing nefarious going on… no blocking or editing of my comments had occurred. Instead, it appears that some sort of technical issue prevented my posting(s) from appearing until over 24 hours later. I was VERY much mistaken in my beliefs, and my imagination (and friends) unfortunately got the best of me. In that regard, I would like to again ask everyone to please disregard comment #49. In addition, I especially wish to offer a very public apology to the folks at Sony for any grief my misunderstanding may have caused you. Again, my deepest apologies! Very much looking forward to this game. Its looks very creepy. The demo had great atmosphere and and ominous darkness that reminded me of the old Silent Hill games. When will we see the answers for our questions? I hope we get it SOON. I just can`t wait! Ok i really love these types of games i played the demo and was blown away,the game is awesome to say the least but i have 2 Very important questions. 1: will this game support 1080p output plz say yes! and 2:is there any way i can get this game on BD Idk by ordering it on a site,it doesnt have to be in stores because i really dont want to fill my ps3 space.